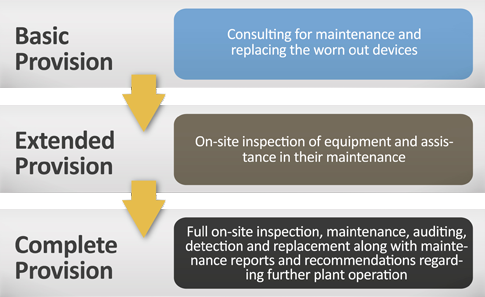 Plant operation requires the periodical maintenance, inspection, auditing and replacement of worn out devices. The prevention of wearing decreases the mean time between failures, provides the accurate replacement of the devices and reduces the possibility of failures due to management. The supportive prevention could be as above.